Quantitative analysis of the Calgary real estate market. Posted by DustinRJay in supply and demand. Please feel free to post your own interpretation. I like this graph, especially how you juxtapose the RE industry comments with the facts from their own numbers! Alas, we can’t expect any real “investigative” journalist from the mainstream press, but it sure would be nice. Go through it, will give you a lot of the data that you were asking for. Nice analysis radley. The Fraser Valley appears to be about 6 months behind Calgary. Thanks for the info, Neil. They definitely answer most of the important questions! We refer to the “listing inventory” as the total number of area listings divided by the total area sales *per month*. As of today (Feb 18/08) there are 6,815 active listings in “Metro Calgary”, and there have been just under 60 metro Calgary sales per day. In other words, listing inventory is now just under 4 months supply (at current sales rates). Obviously the number of listings is much higher than it was a year ago, and sales in January 2008 were 31% lower than the same period a year ago. That being said, the first 6 months of 2007 were record setting months (beating the record pace set in 2006). How s the Calgary market doing now, in May 08? Slower? now I’ll be in touch..
good, every one be capable of easily know it, Thanks a lot. 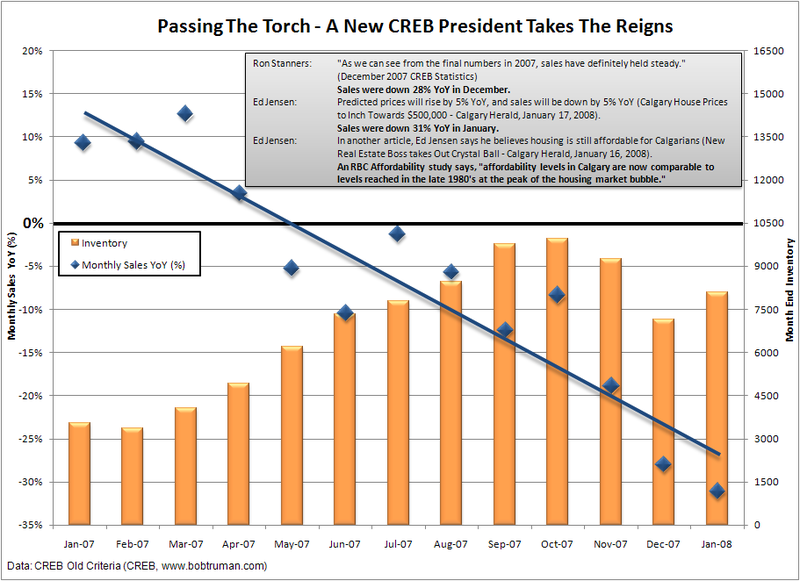 Buyer Beware – Mortgage Rates Set To Rise! Calgary CMHC Forecast Bias – From Optimist to Pessimist? Calgary Housing Recovery Already Underway?